It’s quite possible that Steve Oppenheimer, who raised $238k and took 43% of the vote against incumbent Republican Public Service Commissioner Chuck Eaton, would be one of the strongest candidates for a Democratic nomination in 2014. There’s no doubt national Democrats will have Georgia on their mind by the time the 2016 presidential race rolls around. The state is more African-American, more Hispanic and more Democratic than it was at the beginning of the last decade. Eventually, insiders of both parties agree, it will be a swing state. But looking ahead to 2014 — when Republican Sen. Saxby Chambliss and Gov. Nathan Deal are up for re-election — Democrats don’t appear to have much of a bench lining up to run statewide. Chambliss could face a tough primary challenge and potential Democratic candidates are keenly watching how that race develops over the next year. Beating Chambliss would be very hard; beating another Republican might be a less daunting endeavor. In a conversation with Roll Call via Skype from a post-Election Day vacation, top Georgia Democratic strategist Tharon Johnson said that the path to a Senate victory for a Georgia Democratic senator in 2014 would be steep, though not impossible. “Saxby is in a good position,” he said. Johnson, who served as the national southern regional director for President Barack Obama’s 2012 campaign, said victory would require that Democrats get behind one candidate to avoid a bloody primary. He added that the candidate needs to appeal to a broad swath of Georgians. “In order for us to even be competitive with Sen. Chambliss — who has gained a lot of national recognition, who will be well-financed and who knows how to campaign — we will have to recruit a candidate with a message that targets moderate conservatives,” Johnson said. Among the names he floated: Atlanta Mayor Kasim Reed and Rep. John Barrow. Reed, a business-friendly African-American Democrat, would probably be the strongest contender, but he appears very unlikely to run. “Mayor Reed is running for re-election as Mayor of Atlanta in 2013 and if the people give him another four years, he plans to serve his term,” Reed spokeswoman Sonji Jacobs Dade said in a statement. 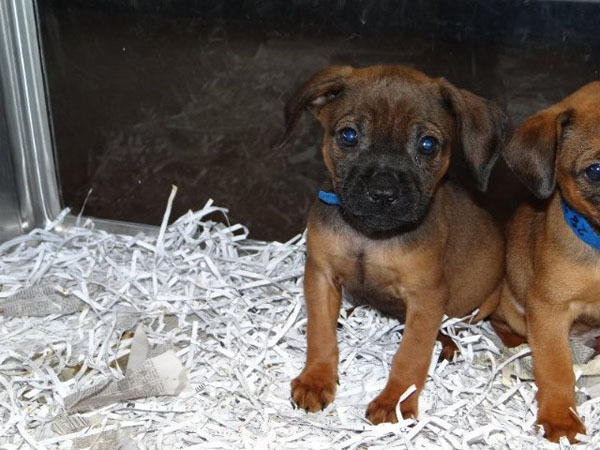 One of these little seven-week old pups found a home yesterday with a GaPundit.com reader and I couldn’t be happier. Another reader’s family stepped up and volunteered to foster the other two if enough money can be raised through a rescue organization to pay for their vetting, which will cost $400. If everyone who has written me about how much they enjoy seeing the adoptable dogs or asking how they can help will give $50, $20, or even $5 today, we can save the remaining puppies. 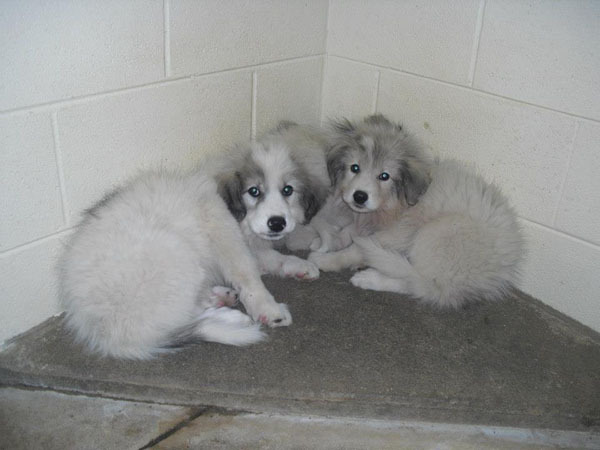 They must be saved by Thursday night or they’ll be euthanized on Friday before dawn. Please click here and go to Angels Among Us Rescue’s webpage and donate today with a credit or debit card or PayPal account. 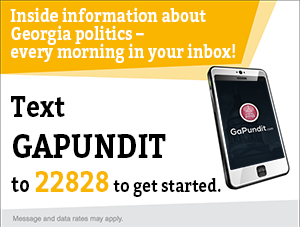 When making your donation, please put “GaPundit – Murray County Puppies” in the purpose field. 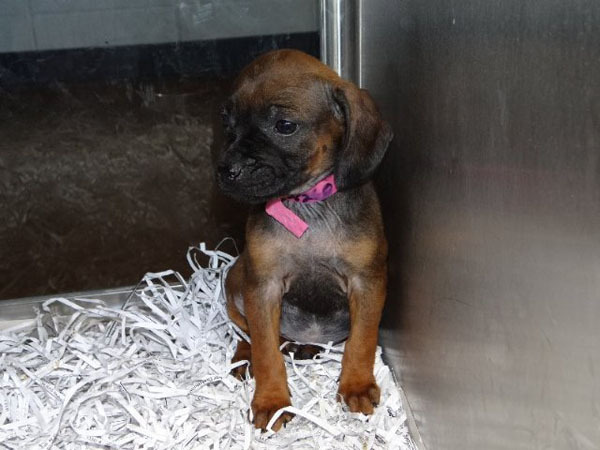 This boxer puppy will qualify for the “Black Friday Sale” discounted $30 adoption fee on Friday at Gwinnett County Animal Shelter. 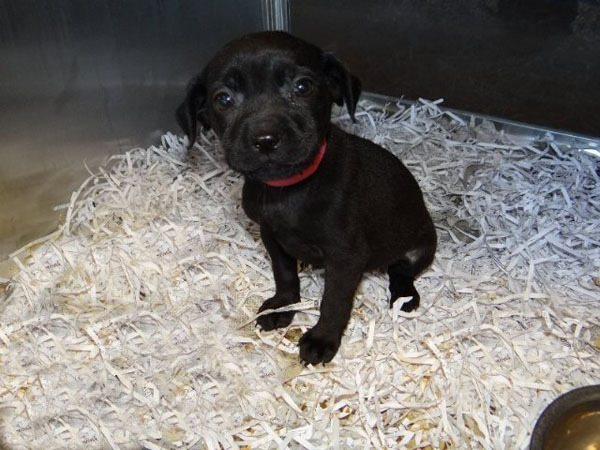 She’s a friendly little puppy and has five brothers and sisters in the shelter with her, who were found stray and are available for adoption today. 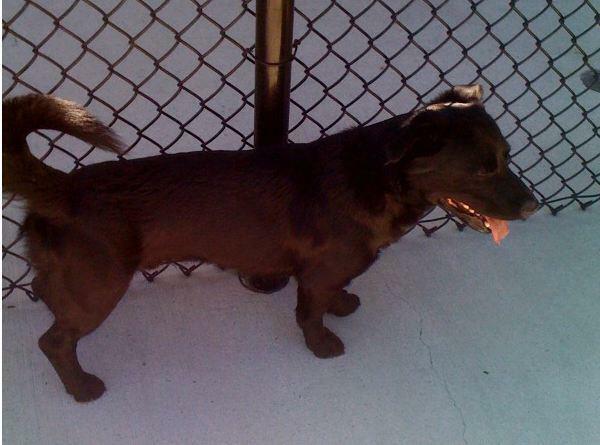 Finally, we bring you one of our favorite kind of dog, a basset hound “low rider” mix. 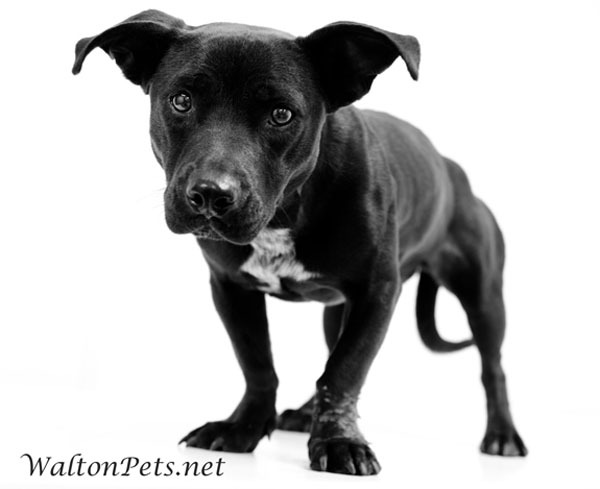 Meet Binkie, a Pit Bull-Basset Hound mix. Binkie is a spayed female, approximately 2 years old and just over 26 pounds of awesome. 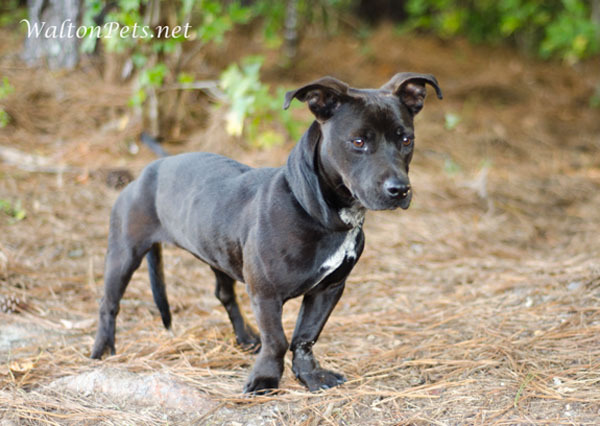 She is available for adoption tomorrow from Walton County Animal Services. Senator Vincent Fort doesn’t want voters to be armed in exchange for voting and has filed a complaint with the Secretary of State’s office alleging that a Cobb business offering a chance to win a Browning rifle or Glock violates Georgia law that prohibits giving people something of value for voting. Fort says the promotion violates state law prohibiting anyone from offering money or gifts in exchange for voting or registering to vote. Four years ago, that office put a quick stop to shops offering free coffee and doughnuts to those showing proof that they voted, he said. Great Pyrenees are prized dogs for their temperment and their guarding abilities as well as their beautiful white coats. 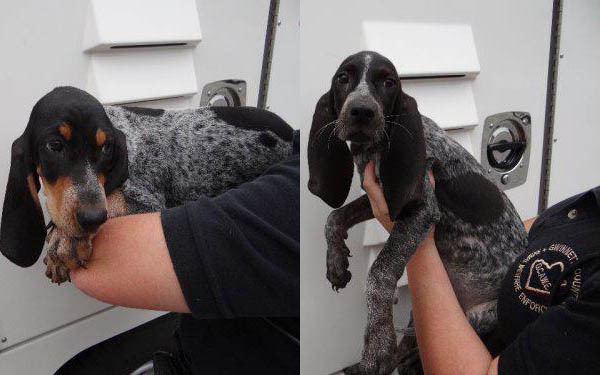 These GP puppies are part of a litter of five that was found alone outside and they are available for adoption from Murray County Animal Shelter. 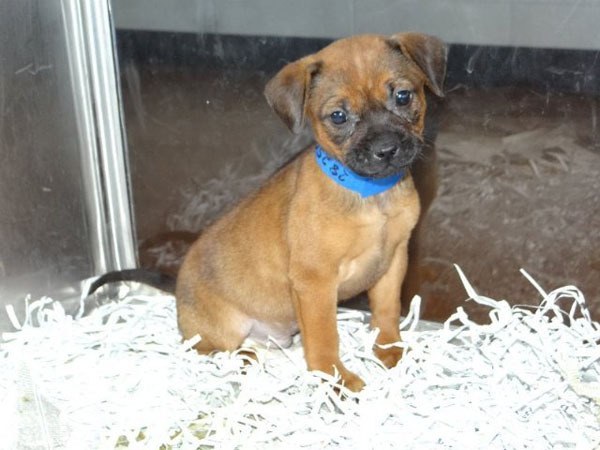 Adoption costs $115 and includes vetting, spay/neuter, heartworm, and rabies treatments. 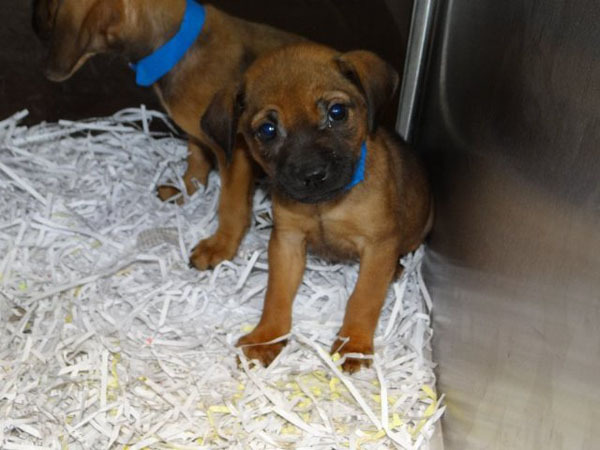 If they are not adopted by pre-dawn Friday they will be euthanized. 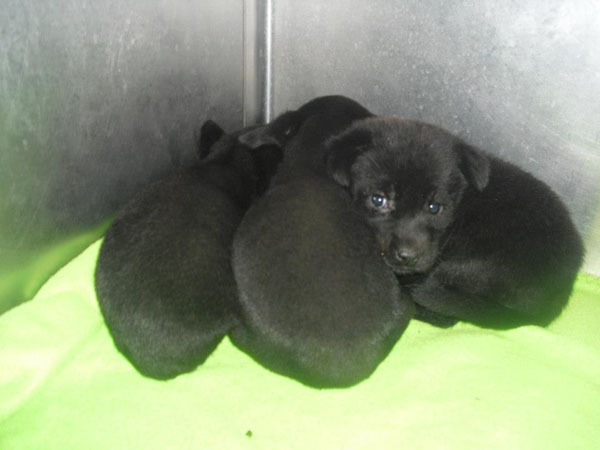 Also on the euthanasia list for early Friday morning are these three black lab puppy littermates, who are about seven weeks old and were found abandoned at the side of the road. 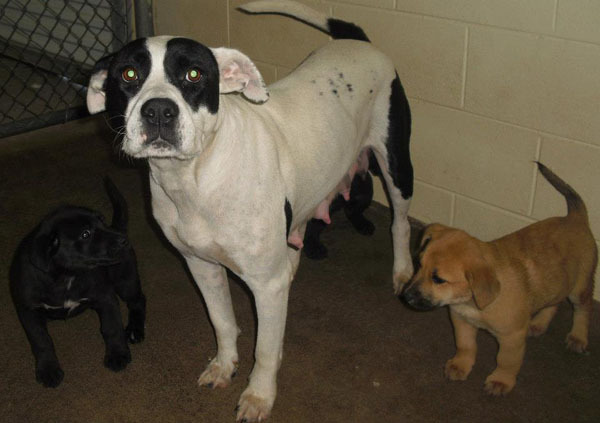 This great mama and her three puppies are also available for adoption from Murray County Animal Shelter and will be euthanized before dawn on Friday if not adopted. They like people and other dogs. 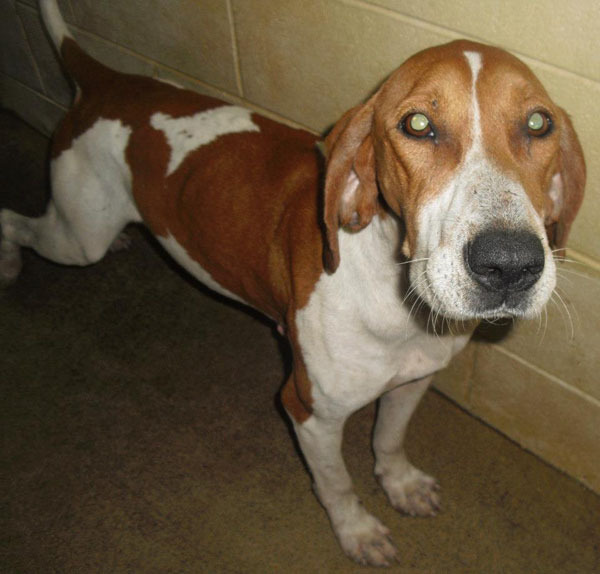 This 4.5 year old female hound is also a mom, and she and her puppy (below) are said to be sweet dogs who get along with people or other dogs. Like the others here, they are available for adoption from Murray County and will be euthanized on Friday pre-dawn if not rescued. This eight-month old puppy came in with her mama (above) and is available for adoption from Murray County Animal Shelter with a literal deadline of pre-dawn Friday. 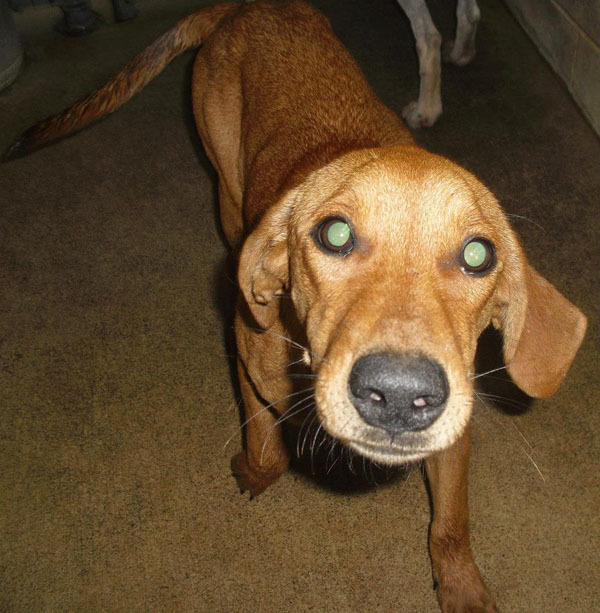 These dogs and fourteen others are on the list for euthanasia on Friday morning. 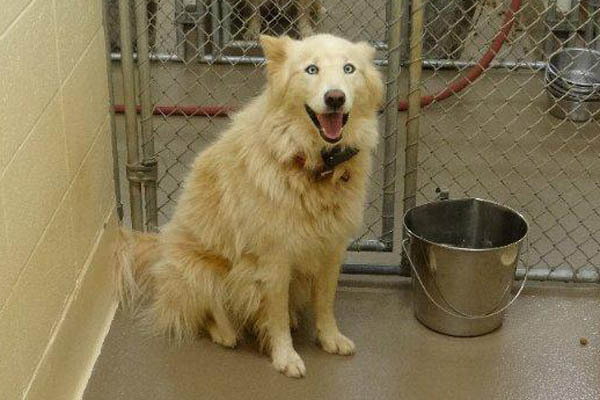 Unfortunately, this situation is the norm at shelters across Georgia. If you cannot adopt a dog, you might be able to help by transporting a dog from a shelter to a foster home or rescue organization, or by donating to a reputable rescue group. Transportation for each of the above dogs can be arranged to the Atlanta area. If you’re outside Atlanta but not close to Murray County, email me and we’ll try to put you in touch with some folks to help transport them to you. Public Service Commissioner Chuck Eaton debated his two challengers, Democrat Steve Oppenheimer and Libertarian Brad Ploeger, who both tried to out-maneuver the other on the left. GOP incumbent Chuck Eaton denied opponents’ accusations that he is too cozy with the companies he regulates. “I’ve never granted Georgia Power Co. any of the rate increases they’ve requested,” he said, adding that he voted only for pared-down rate hikes. Democrat Steve Oppenheimer said electricity rates had risen 24 percent during Eaton’s six-year term and that residential rates for natural gas were among the highest in the continental United States. Eaton blamed federal regulations for half the expense of the latest electric rate increase….Continue Reading..
Advanced voting in person starts October 15, 2012. More than 10,000 voters are marked as having already voted in the November 6th General Election, according to data from the Georgia Secretary of State’s Office. 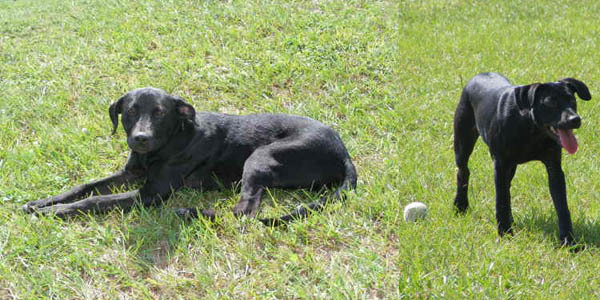 Khloe is a young female lab mix who is available for adoption from the Lowndes County Animal Shelter in Valdosta. She looks like a great playful dog. The $105 adoption fee includes neutering, vaccinations, heartworm removal and preventative, cleaning, flea spray, and a nail trim. Compared to the cost of a puppy’s first vetting, that’s a pretty good deal. Governor Nathan Deal announced yesterday his intention to restore days cut from state-funded pre-K programs in the next budget. Dennis O’Hayer with WABE spoke with the Governor and with Democratic State House Leader Stacey Abrams. Jim Galloway writes that state Senator Tim Golden introduced Senator David Shafer to fundraiser attendees as “the next President Pro Tem of the Senate.” The President Pro Tem of the state Senate is important to voters because he or she often functions as one of the most valuable spokespeople for the Senate, and because the position can play a significant role in the administration of the Chamber, influencing the flow of legislation and committee assignments. David Shafer represents parts of Gwinnett and Fulton Counties and was first elected to the Senate in a special election in February 2002. He currently chairs the Regulated Industries Committee. Doug Collins, Congressman Elect the Republican candidate for Eleventh Congressional District, spoke at a Tea Party debate in Forsyth County last week. Five additional debates or joint appearances are planned between now and election day with Collins and his Democratic sacrificial lamb opponent Jody Cooley. 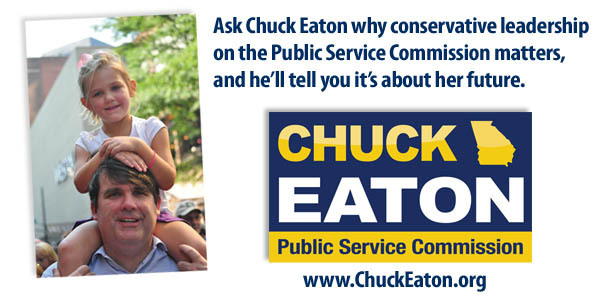 Chuck Eaton is the only incumbent Public Service Commissioner who will debate in the Georgia Public Broadcasting televised debates. Eaton faces Democrat Steve Oppenheimer, who appears unable to tell the truth, and Librarian Libertarian candidate Brad Ploeger. Two bald guys writing in Gainesville Times ask why politicians seldom directly answer questions at debate or press appearances. In our research, we have found that viewers are most likely not to detect dodging when politicians offer answers to similar, but objectively different, questions than the ones they are asked. In one study, for example, participants were shown video of a politician being asked a question about his policy on either health-care coverage in America, the illegal drug use problem in America, or America’s war on terrorism. He offered the same answer to all three questions: “I’m glad you asked me that. There are so many important problems facing America today. We need universal health care because …” and then proceeded to give a long answer about health care. People who saw video of the politician who was asked about health care saw him as trustworthy, honest and likable; he answered the question he was asked, after all. State Rep. elect Lee Hawkins (R-Gainesville) met with a group of constituents Monday night. Jeff Gill of the Gainesville Times gives lengthy coverage of what was a small meeting; this is good reporting, does a service to the voters, and is incredibly rare nowadays. Candidates on the November 6th ballot are reminded that the grace period for their September 30th Campaign Contribution Disclosure Report runs out October 5th. Get it finished early. Georgia Commissioner of Juvenile Justice Gale Buckner (not to be confused with 2012 Democrat Senate candidate and former Senator Gail Buckner) will step down from the agency to become the new Chief Magistrate Judge for Murray County. Her predecessor as Chief Magistrate, Bryant Cochran, resigned in the midst of investigations by the FBI, GBI and JQC. National Public Radio ran a national poll on the Presidential race administered by Democrat Stan Greenberg and Republican Whit Ayres, who formerly called Atlanta home. Given the glut of national surveys lately, the actual results aren’t as interesting to me as the discussion by two pollsters of different parties of the likely makeup of the November electorate. Ayres, the Republican half of the team, noted that the actual electorate in November may not have as many Democrats as this NPR poll’s likely voter sample, which he called “a best-case scenario” for the president’s party. If this year’s voters were to split evenly again between the two major parties, Romney would have an advantage. The NPR poll found him a 4-point favorite among independents. Most observers expect this year’s party ratio to be somewhere between the Democratic tilt of 2008 and the even split of 2004 (which recurred in the midterm elections of 2010). Stan Greenberg, the Democratic member of the polling team, said polling this year has generally found fewer people self-identifying with the GOP. The former Pollster for the Presidential campaign of former U.S. Senator John Edwards (D-Scumbag) was deposed in a lawsuit, and the transcript give a lot of insight to the way in which pollsters have become integrated with the political press team of some Presidential campaigns. In the wake of recent discussions of whether media polling accurately reflects the partisan makeup of the electorate, the Washington Post one-upped UnskewedPolls.com by offering its’ own online calculator the Poll Manipulator, allows you to enter what you wish think the partisan breakdown is, and it automatically skews the polls to reflect the view through your rose-colored glasses. It’s pretty fun to play with. opportunity to make change at the Public Service Commission. Pure fiction. Since these purported poll results are now being discussed publicly, Oppenheimer’s pollster should release the information required under the American Association for Public Opinion Research Code of Professional Ethics and Practice. I’ve got my tickets for the October 20th Willie Nelson show at the Southeastern Railway Museum in Duluth. Let me know to look for you if you’re going too. Dave Matthews Band will play Gwinnett Arena in Duluth on December 11th. Tickets go on sale October 19th. Petit LeMans will run at Road Atlanta in Braselton on October 20th with qualifying taking place the 17th through 19th. Tickets are on sale now. I am highly unlikely to ever attend a game of the Lingerie Football League team that will play home games in Gwinnett next year. Unless I have an unavoidable client meeting there or something. On Tuesday, Gainesville set a record for the most rain falling in a 24 hour period. 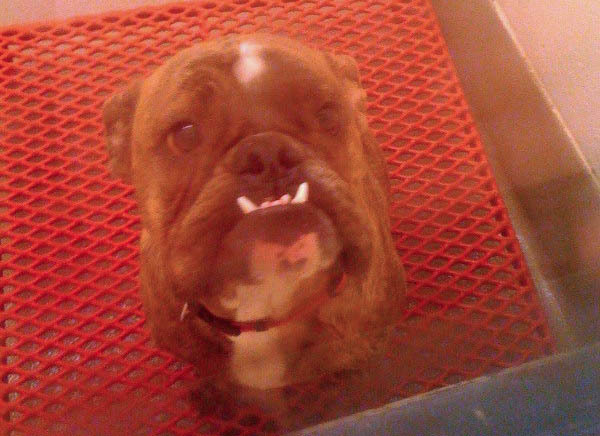 In honor of the University of Georgia’s defeat of Tennessee, surely a precursor to our invading them and taking back our water from the Tennessee river, you might consider adopting this English Bulldog, 27718, from the Gwinnett County Animal Shelter. 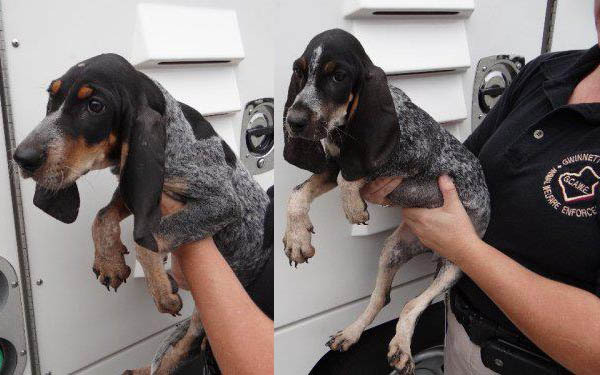 Or you might take pity on the vanquished and adopt one of the Volunteer state’s symbolic coonhounds. 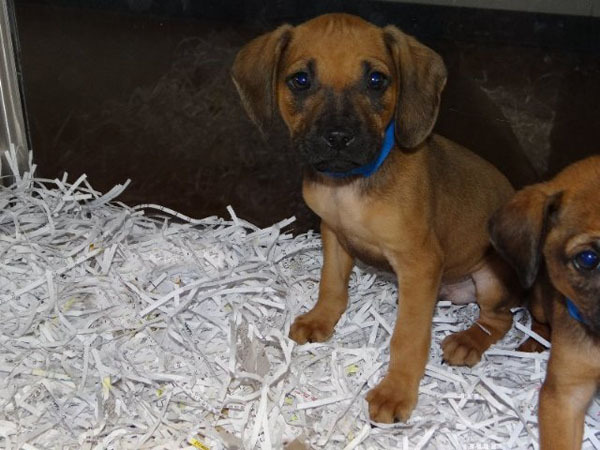 These seven puppies are all available for adoption from the Gwinnett County Animal Shelter beginning Thursday. In order to vote in the November 6th General Election, you must be registered by October 9th. Advanced voting begins October 15th, and mail-in ballots are on their way to voters who requested them. To date, more than 76,000 absentee ballots have been requested. Candidates on the November ballot have a campaign contribution disclosure report due between now and October 5th. Plan early in case the Commission’s website is having problems yet again as the grace period closes. After Democratic State Representative Rick Crawford announced that if reeelected, he will switch to the Republican Party, Speaker David Ralston made clear that the GOP will continue to back its nominee, Trey Kelley. c) Authorize party Chairman Mike Berlon to seek Crawford’s removal from the ballot. It’s the last item that’s news – or could be. We don’t know that it’s ever been done. Look for Berlon to quickly petition Secretary of State Brian Kemp for Crawford’s dismissal as the Democratic nominee for House District 16 in west Georgia. Could Democrats replace Crawford? Good question, for which we don’t have an immediate answer. If they can’t, Republican Trey Kelley, a 25-year-old manufacturer’s rep, would be the automatic winner in the race come Nov. 6. Georgia Republican Party Chair Sue Everhart told Georgia Tipsheet the Crawford will receive no assistance from the GOP. What’s got the incumbent Democrat so worried? Maybe the shellacking that Kelley’s about to unload on him. GaPundit’s parent company ran a poll of likely voters in HD 16 over the weekend, and it shows that Kelley leads Crawford by a decisive margin of 61 to 31.5 with a margin of error of +/- 5.2 points. Last week, I told Winston Jones of the (Carrollton) Times-Georgian newspaper that State Rep. Bill Hembree is the hands-on favorite in the Senate District 30 Special Republican Primary Election held the same day as the General Election. Hembree resigned his House seat this month to campaign for the Senate seat. “One of the candidates from Carrollton could make himself a major candidate, but I haven’t seen it yet,” he said. We also ran a poll this weekend on the Senate District 30 race. We’ll post full details tomorrow on the website and email, but suffice it to say, nothing has happened to cause me to change my prediction of a Hembree win in November. Media writing for deadline can email me for an early copy. Walter Jones writes that Librarian Libertarian candidates for Public Service Commission may tap into anti-incumbent sentiment this year. the party has candidates in the only two statewide races, both for the Public Service Commission. In one, Libertarian David Staples is the only alternative to Republican incumbent Stan Wise. In the other, the Libertarians have nominated an openly gay telecommunications consultant, Brad Ploeger, who is drawing new voters to the fold in his bid to best GOP Commissioner Chuck Eaton and Democrat Steve Oppenheimer. For different reasons, both contests offer hope to the Libertarian Party in Georgia, which normally only claims 2 percent to 4 percent of the vote. For many voters, Staples’ main advantage is not being Wise. “While some would prefer to vote for a major-party candidate, there isn’t one in this case. The choice is a vote for someone who looks to be bought and paid for by the industries he is supposed to regulate, or someone who is running on principle,” wrote The Albany Journal in its endorsement of Staples. The Libertarians are hoping to break the 33 percent won when their nominee John Monds was the only challenger on the 2008 ballot against GOP incumbent Doug Everett. While that left Everett with a landslide, it still gave the Libertarians their best showing ever. Also working to the party’s advantage, according to [PSC candidate Brad] Ploeger, is the likelihood that GOP nominee Mitt Romney will easily prevail in Georgia’s presidential voting. That frees up Republicans and Democrats with libertarian leanings to vote their preference without fear that doing so will help a candidate they don’t want to win. Unfortunately, the national campaign has drawn many local parties and activists into support the Romney-Ryan ticket by ignoring state races, instead making phone calls into Florida, Ohio, and North Carolina. This has the potential to risk local races and even force a runoff for Republican Public Service Commissioner Chuck Eaton, who is seeking reelection, if GOP voters fail to turn out because of perceptions that Georgia is not in play nationally. Bibb County Superior Court Judge Howard Simms, who was not arrested despite driving with a .083 blood alcohol level, may face charges and his judicial career may be in peril. If a Bibb County Sheriff’s Office internal investigation confirms the judge’s blood alcohol was 0.083 on the night of Sept. 22, deputies will talk with the county solicitor to determine whether criminal charges will be filed. Set to be complete by Monday, the results of that investigation will be released to the public after Sheriff Jerry Modena has a chance to review the findings, Chief Deputy David Davis said. Whether Simms is arrested, his career is likely in the hands of the State Judicial Qualifications Commission. Simms has notified the commission of the traffic stop and his plan to enter an in-patient alcohol treatment facility, according to a statement he issued Tuesday. The commission is the only agency with the power to remove judges from office, said commission Chairman John Allen, a Superior Court judge from Columbus. Allen said he can only remember three judges being removed from office in the past 20 years. “Very rarely is a judge removed,” he said. Commission statistics show that 21 judges with a complaint filed against them have resigned from office since 2005. In May, Governor Nathan Deal removed the entire Miller County School Board. On Friday, Deal named new members to serve out the terms of the removed members. Cobb County Solicitor General Barry Morgan, a Republican, has changed his mind and will seek reelection in 2014. The south side of Augusta is the key to Republican success in the Richmond County Sheriff election, according to GOP nominee Freddie Sanders. “That’s the battleground area of Richmond County,” said Sanders, who is running as a Re­publican in a county still dominated by Democratic politics. “The south side is more integrated than the west side or the east side,” he said, explaining that he can likely count on strong support in “more Re­publican, more conservative” west Augusta. His opponent, Richmond County schools Public Safety Lt. Richard Roundtree, will have distinct advantages in east Augusta and the city’s urban center, he said. Voting in Richmond Coun­ty has a history of falling along racial lines. About 53 percent of registered voters are black and about 37 percent are white, according to Board of Elections statistics. Generally, the majority of blacks tend to support Democratic candidates. Sanders said he understands that is the pattern, but not necessarily a rule. He thinks a large portion of that “middle” can be found in the neighborhoods south of Gordon Highway – primarily commission districts 5, 6 and 8 – where there is a more diverse mix of voters. The election for Augusta Commission Super District 9, which represents half the city, will see a head-to-head matchup between two former local elected officials and seasoned politicians in the General election. the Augusta Com­mission Super District 9 election pits former Richmond Coun­ty State Court Solicitor Harold V. Jones against former two-term Com­missioner Marion Wil­liams, probably one of Augusta’s most recognizable politicians. Williams, 64, got on the commission by beating former Com­missioner Freddie Han­dy by a slim margin in a 1999 runoff for District 2, then beat him again in 2003 for a second term. Term-limited, Williams set his sights on the Senate Dis­trict 22 seat in 2008 but lost in the Dem­ocratic primary to Ed Tarver, now a U.S. attorney. He lost again in a 2010 effort to unseat District 2 Com­mis­sioner Corey Johnson. Jones is far from inexperienced in Augusta politics and won nearly 60 percent of votes against Ben “Swain” McElmurray for State Court solicitor in 2004. He had lost an earlier bid for office, a 2002 state House race to Rep. Quincy Murphy..
Now 43 and practicing mostly criminal law with She­pard, Plunkett, Hamilton & Boudreaux, Jones remains active in politics. He had a hand in the voter turnout efforts that led to Richard Round­tree’s upset victory over Scott Peebles in the Democratic primary runoff for sheriff. Unopposed for a second term as solicitor in 2008, Jones resigned the next year to run for state Senate against Hardie Davis. Davis won District 22, boosted by success in many white precincts, but Jones outpolled him in the 71 percent black District 9 portion of the Senate district by 1,132 votes. The DeKalb County Republican Party invites you to “An Evening with Chris Boedeker,” the GOP nominee for State House District 81, currently held by Democrat Scott Holcomb. The reception will be held on Thursday, October 4th from 6 to 7:30 PM at DeKalb GOP HQ, located at 3583 Chamblee-Tucker Road, Atlanta, GA 30341. 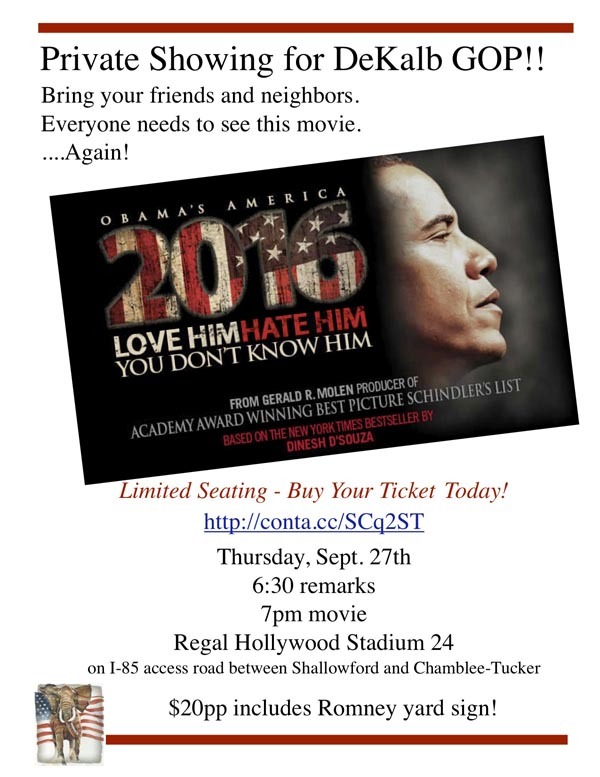 If you are attending, please R.s.v.p. to Linda Smith at 770-451-4174. Coastal Georgia can look forward to a new $100 million resort that includes an adventure park, and 800 new jobs, if a developer is successful in plans for 575 acres near Kingsland, Georgia.